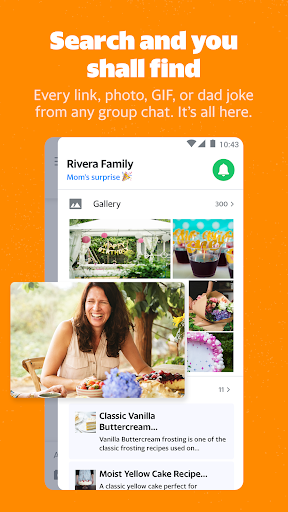 I suppose we can all agree that group chats on whatever app we might use can be frustrating. Even our main AP Slack channel can get a little hard to follow sometimes with multiple conversations going on between several different writers. Yahoo wants to solve that problem for regular users with new smart tools and better organization, much like you get with work-focused chat apps. Like other platforms, there are groups for whatever you want — sports teams, family members, a certain set of friends, etc — but within those, you can also create topics so you only need to pay attention to the things that matter to you (sound familiar?). As you might expect from a messaging app, Yahoo Together has the usual image and video sharing capabilities and it will also create a shared library for the group. To make it even easier to find things later there's also a powerful search tool thrown into the mix. 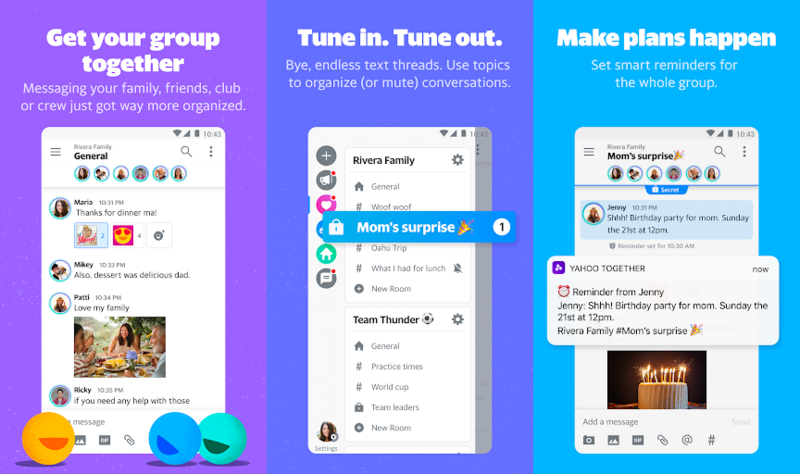 One particularly useful-sounding feature is an automated smart reminder that appears to have been borrowed from office chat apps like Slack — I'm sure it would be helpful when planning get-togethers and such. 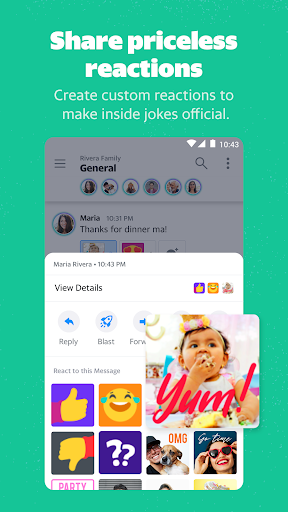 Message reactions are also included, as with every app these days. 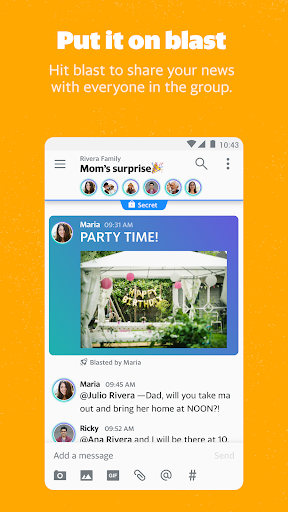 Yahoo Together is now available on Android and iOS. You can also download it from APK Mirror.